Social Media in Public Service: How Then Shall We Communicate? Most historians agree the tactic of spreading political commentaries in social venues is certainly not a new phenomenon within American history. During the U.S. presidential election of 1828, the competing campaigns of Andrew Jackson and John Quincy Adams were saturated with a host of rumors being spread against the two candidates. Both campaigns had staunch supporters who purportedly attempted to spread scandalous information about the opposing candidate. These groups used social settings or communal sites to spread their messages about the two public statesmen, according to Norma Basch in her 1993 Journal of American History article titled “Marriage, Morals, and Politics in the Election of 1828.” Such messages were often conveyed at celebratory fairs, public tree plantings and other social events where a large number from within the community would be present and would receive the message in a timely manner. Among the many rumors circulating at that time was a report alleging Andrew Jackson was the son of a prostitute and was a bigamist himself. Basch describes how opponents of Jackson used various platforms and communication methods to spread this message in hopes of turning enough votes away from Jackson to provide a win for their candidate. Such messages either did not resonate with the American voters or the messages did not spread quickly enough to lead to an Adams victory. In fact, after the votes were counted, Andrew Jackson won the presidency in a landslide victory, breaking a record at that time for most popular votes in a U.S. presidential election. Some may argue that if the Adams’ supporters had today’s technology and the know-how for properly maximizing usage of social media, the election results of 1828 may have turned out quite differently. Today’s elections are highly impacted by social media. Regardless of political party, all candidates now utilize these technologies to convey their messages to the general public. Whether it is a brief commentary tweeted about an opponent on a Twitter feed or a quick photo shared through Instagram, public officials are trying to mobilize people to their cause. Ever so enticing, campaigns are quickly discovering that many Americans are willing to make financial contributions through a candidate’s Facebook page or official website. Today, social media gives candidates a direct line of communication to the American people. That’s a positive change. But on the flip side, social media is an uncontrolled, democratized soap box where individuals can spread opinions that are not substantiated, which can change the public’s view of a candidate overnight. Due to the concerns about people’s images being tainted or words being used against them, many in today’s public service arena are keenly aware of the omnipresent smartphone. These gadgets offer social media apps with the potential to disseminate a wide variety of video footage virally around the world in seconds, even before a press release can provide any level of damage control. As a result, many public service officials and employees are forced into a new reality of communicating. Yes, there are many examples to cite where using social media has positively mobilized citizens to increase civic engagement or afforded timely information to communities. Among those is the successful use of social media in local government when communicating essential information during times of crises such as natural disasters, acts of terrorism or outbreaks of illness or disease. The public sector has an obligation to communicate to those they serve. Venues and technologies used to communicate those messages must be in alignment with the services citizens have come to expect. 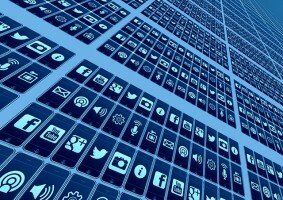 In recent years, the U.S. Government Accountability Office has provided an extensive ongoing report discussing the need for governmental agencies and public sector administrators to develop and execute policies and procedures by which official information should be distributed through social media. So even though President Andrew Jackson perhaps benefited from a lack of social media presence in the public arena in 1828, it does not appear the use of such communication technology is going away anytime soon. Perhaps today there is indeed an even greater purpose for public servants to utilize social media that goes beyond merely raising campaign funds, advertising services to citizens or quickly disseminating a political talking point. Possibly one of the greatest benefits to having social media is the level of accountability now afforded to public sector leaders in terms of their own words and actions. Maybe a new generation of public sector leaders will rise up and be mindful that their statements and behaviors have consequences. Perhaps American society can move toward having a more civil dialogue and a more ethical approach to leading others that should be expected of all of us in the public sector arena. Author: Macel Ely serves as training manager of the Municipal Technical Advisory Service (MTAS), an agency of the University of Tennessee Institute for Public Service. Established in 1949 by the Tennessee General Assembly, MTAS provides technical advice and training to cities and towns across the state: their governing bodies, mayors, city managers, city recorders and city department heads. Ely frequently speaks upon relevant issues to both local and state government employees. He can be reached at [email protected]tennessee.edu.